Last week, the investigative arm of BuzzFeed sparked a media frenzy with a report claiming that two federal law enforcement sources had informed its reporters that Michael Cohen, President Donald Trump's former lawyer and confidant, had told special counsel Robert Mueller that Trump counseled him to lie to Congress about the status of Trump's attempts to build Trump Tower Moscow. The BuzzFeed piece also claimed that the sources revealed that Mueller's folks had received documentary evidence from Cohen to back up his allegations. 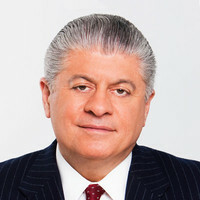 The reason for the media frenzy was the realization by House Democrats that counseling someone to lie to a tribunal constitutes the crime of subornation of perjury and, if the tribunal is engaged in a legitimate investigation, the crime of obstruction of justice — and both of those crimes are impeachable offenses. After the BuzzFeed piece had stirred the pot of media interest and Democrats' lust for Trump's political scalp, Mueller issued a very rare one-liner stating that the references in the BuzzFeed piece to what he had received from Cohen were "not accurate." So, did Mueller's use of "not accurate" mean that Cohen did not, in fact, tell Mueller that the president of the United States had counseled him to lie under oath, or did it mean that Cohen made the allegation that Trump had counseled him to lie but Cohen did not, in fact, give Mueller any corroborating evidence of his allegation? Here is the back story. In addition to tax evasion and bank fraud, Michael Cohen pleaded guilty late last year to lying to Congress. Cohen lied under oath when he told congressional investigators that Trump's efforts to build Trump Tower Moscow ceased in January 2016 — because, according to Cohen, they actually ceased in June 2016. Cohen said he lied because Trump had asked him to do so and because Cohen wanted his testimony to be consistent with Trump's public campaign narrative that he had no business dealings in Russia. The BuzzFeed saga is not all black-and-white and has been exacerbated considerably by the president's public-facing lawyer, Rudolph Giuliani. We know that Mueller's PR person knew of the BuzzFeed piece days in advance and had numerous texts and emails with the BuzzFeed reporters. He did not discourage its publication or challenge its conclusions until 24 hours after publication. We know that neither Cohen nor his lawyers challenged the accuracy of the BuzzFeed piece. We also know that Giuliani actually went beyond the BuzzFeed allegations. He explained to a reporter for The New Yorker that Mueller has not claimed that the Cohen allegation that President Trump counseled Cohen to lie was inaccurate; rather, the inaccurate statement in the BuzzFeed piece was its reference to the existence of texts and emails corroborating what BuzzFeed claims Trump told Cohen. Giuliani also told the New Yorker reporter that Trump did, in fact, speak with Cohen about his testimony in advance of it. Do you think Trump told Cohen to tell the truth? That's what the New Yorker reporter asked Giuliani. Giuliani said he knows that Trump did not counsel Cohen to lie because he listened to the tapes. Tapes? What tapes? There are tapes of the Trump-Cohen conversations about Cohen's intended congressional testimony? Then Giuliani said he misspoke. There are tapes — Cohen infamously recorded his conversations with his most famous client — but not about this. Giuliani then said he had examined emails and text messages and other documentary evidence and he had not found any that corroborated Cohen's claims; so that's what Giuliani says Mueller said was not accurate in the BuzzFeed article. "There is no corroboration that the president told him to lie." By narrowing the application of "not accurate," by admitting Trump spoke to Cohen about his testimony in advance of it, by suggesting that there are tapes of Trump and Cohen discussing Cohen's testimony but then saying he misspoke, and by stating that the Trump Organization was negotiating with Russian officials for Trump Tower Moscow up to the date of Trump's election and then saying that that was just "a hypothetical," Giuliani has reinforced his own image and the image of his client as being unconcerned with the truth. Giuliani may be overly histrionic, but he is not stupid — though his legacy as a prosecutor and mayor is unraveling. My guess is he knows that Mueller has much evidence of a criminal conspiracy to receive something of value (the Hillary Clinton emails) between the Trump campaign and Russian intelligence and subtly is trying to tie Trump personally to it. Such a conspiracy would be a felony and produce criminal charges against all who were a part to the agreement. Giuliani also fears that Mueller will use the Trump-Cohen conversation as evidence of obstruction of justice by the president. So why is Giuliani revealing all this to the media? Here's why. He is following an age-old trial lawyer practice. If the government has evidence harmful to your client, it is easier for the public and the jury to accept the harmful evidence if defense counsel reveals it first, drop by drop, rather than permit the government to release it all at once like an anvil falling into a pond. Giuliani has told friends that from time to time during his negotiations with Mueller on Trump's potential interview by Mueller and his team, Mueller has shown a few of his cards. Stated differently, Giuliani probably knows some of the damning evidence Mueller has on his client and has chosen to leak it out slowly and even goofily to friendly audiences so that once Mueller unloads his findings, the shock will have been dulled. Giuliani has also told friends that he has a client who is not paying him and who does not take his advice. Does any of this look good for Trump?